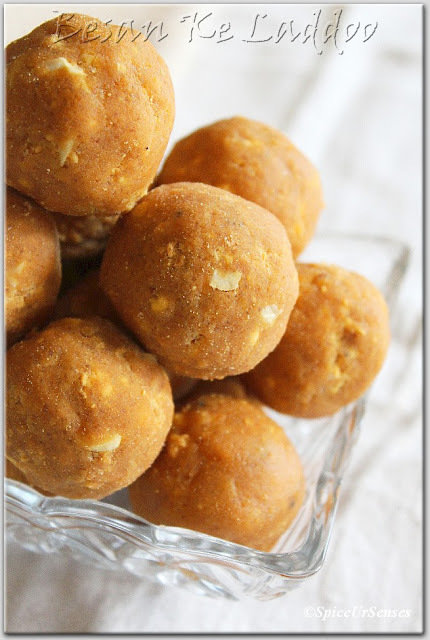 Besan Ke Laddoo (Gram Flour Laddoo) is made mostly in Maharashtra.. 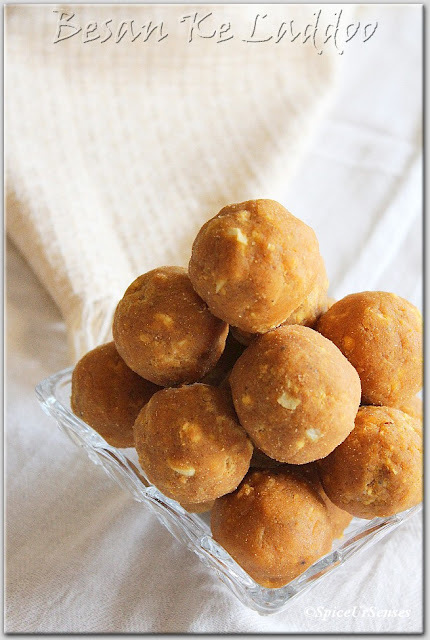 There are many version are there to these laddoo, but this recipe is very basic and easy to make. 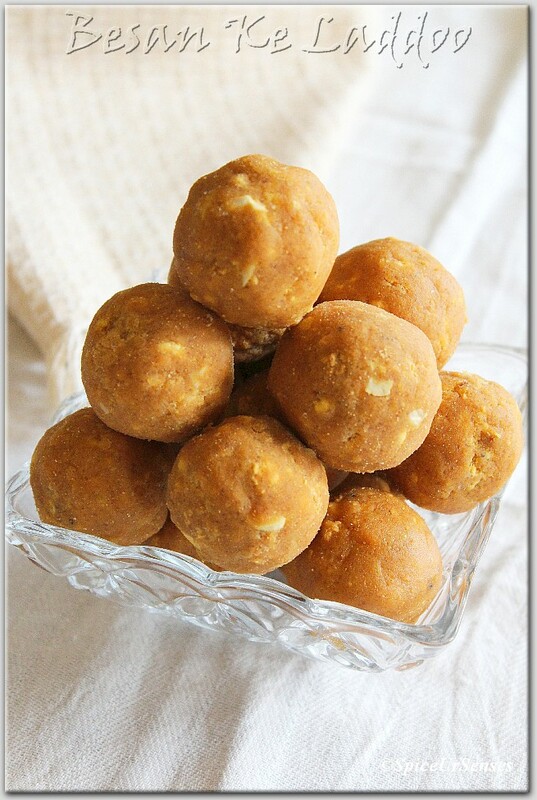 Me and my hubby happen to be a big fan of laddoo's, They are very useful when you are hungry and you need something soon and you don't have to juggle in the kitchen.. That's why I make very few of them so that it get over soon. Making a less quantity gives me a chance to try different laddoo's too... You can make in a big batches and store them in a airtight container and keep serving for a 2 to 3 weeks.. Do try this recipe and let me know. 1/2 cup chopped dry fruits (almonds, cashew, raisin and pistachio). In a deep non-stick kadai. dry roast all the dry fruits and set it aside. In a same kadai add ghee, besan and cardamom powder and roast on a low flame till it gives a nice aroma and become golden brown. by stiring continuously. Then take the besan out in a large plate and allow it to cool a bit. Now add the powdered sugar and dry fruits and make a even size laddoo's while the mixture is still warm. 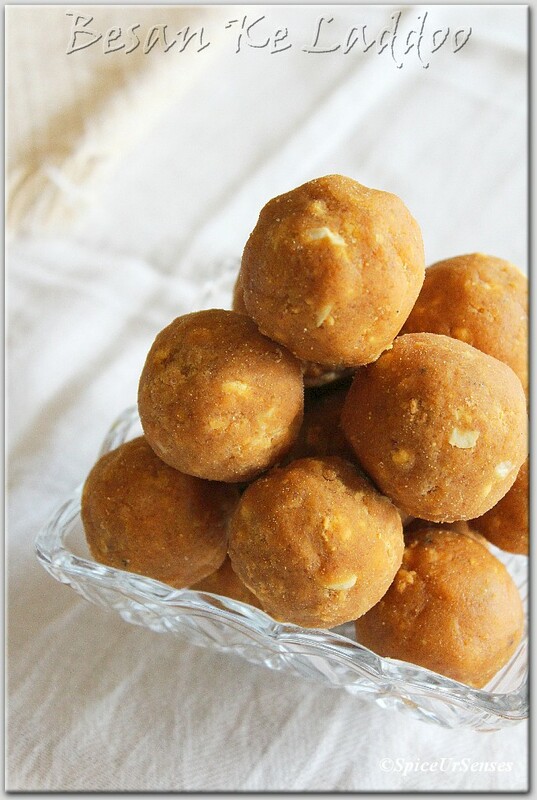 If you feel the mixture is little dry, feel free to add a little milk to make a smooth laddoo's. Store them in a airtight container and Serve when ever you want. 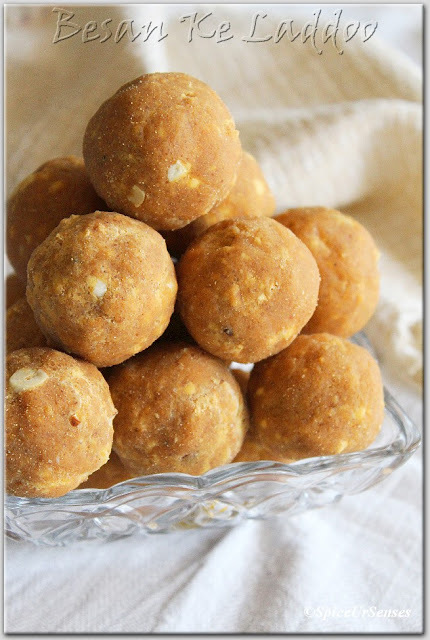 This is my favorite Indian sweet. Quite irresistible sugar bombs.